I recently had the privilege to check out WordCamp in San Antonio. If you’ve never been to a WordCamp (this was my first but won’t be my last), these weekend events are a wonderful way to get to know the local WordPress community and also learn some great new skills. WordPress is a wonderful open source platform with a very active community. The people who use WordPress never cease to amaze me with their enthusiasm to teach new users of all levels. This was on full display at WordCamp. I met fledgling bloggers, freelance site builders, theme artists, hosting specialists, and full site management developers. Everyone was so kind and open to all sorts of questions from “what is the difference between WordPress.com and WordPress.org?” to “How do I manage versions of my code with a full team?”. No question was considered too green, which definitely encourages new users in the community. 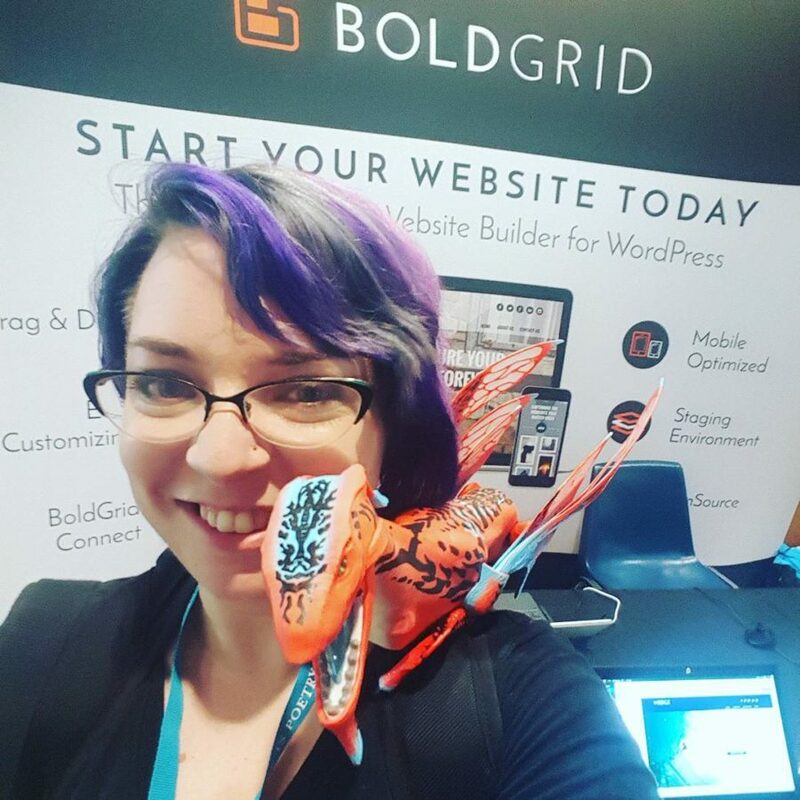 I have used WordPress for many years (this blog is built with it), and I still learned new things at WordCamp. I loved hearing each of the speakers talk about their experiences and share knowledge with the campers. Kori Ashton from Webtegrity shared her top 7 keys to building a business. Kori knows her stuff and I highly recommend her WordPress Wednesday Tutorials. I won’t spoil her entire talk here, but she dove deep into the things that every startup should think about as they grow. The key that resonated strongly for me was “Niche”. I love that Filestack is a growing company that gives other companies the ability to really focus on what they do well. Every hour we save someone from wrestling with authentication and transformations is an hour they have to focus on their niche. Daniel Espinoza from Grow Development shared great tools on using the WordPress CLI and I know I’ll be using it in the future. It takes the famous “5 minute install” down to 19 seconds. Adding Filestack takes just a few more seconds with the plugin and creates a full fledged development environment that can authenticate into all of your cloud sources. The speed of this is astonishing! I talk to people all day every day about how Filestack can fit into their workflow. The unique thing about Wordcamp was that the potential use cases stretched the full spectrum of our capabilities. With the newly launched Filestack WordPress plugin, I was able to show all of these different WordPress users how to save time by using Filestack. There are some incredible blogs that come out of San Antonio every day and many of the amazing content developers were at WordCamp. I showed a handful of the bloggers that I met how they can use Filestack to grab photos from Facebook, Instagram, Google Photos, and other sources they may use to pull in images for posts. WooCommerce was also a common thread amongst the conversations. It was fantastic for me to be able to demonstrate to local business owners how easily they can add custom image uploads to their product offering by simply adding the Filestack plugin to their online store. If you want to learn more about how to use the Filestack WordPress plugin, I highly recommend this tutorial by our very own Huey Ly.